Unless you’ve been living under a rock for the past decade, you would surely know about the mind blowing series Game of Thrones. Perhaps HBO’s greatest production ever that stretched for more than eight years, GoT has attracted millions of fans from every nook and corner of the world. Everyone has been impatiently waiting for the last and the shortest season of the show. Beginning on April 14, 2019, the six episodes will bring an end to this epic saga (season ends on May 19, 2019). So as agonizing as it is to wait for season 8, many fans have been wondering if it’s possible to watch Game of Thrones on Hulu. Because many viewers around the globe watch Game of Thrones live online. To sort out this mess, I wrote this guide and outlined ways to watch Game of Thrones on Hulu no matter where you are in the world. Let’s start! Wondering How to Watch Game of Thrones on HULU? Well, to begin with, I am assuming you already have a Hulu subscription. If you don’t, subscribe to a suitable package that meets your needs. Once you have an active Hulu account, there isn’t much that you would have to do to access HBO and watch the Game of Thrones. From the accounts page, you can add HBO add-on for $14.99 a month and enjoy the Game of Thrones including all other HBO content instead of switching through apps or subscribing to multiple providers. How to Get the HBO add-on? Click Continue to select your choice. Why Get HBO on Hulu? Once you’ve chosen your Hulu plan, getting a HBO add-on will bring you all the amazing content that HBO has to offer, be it movies or HBO shows such as True Detective, The Sopranos, and Westworld. Another great advantage is that there is no hidden fee or annual plan that you will have to commit to, you can cancel your subscription anytime you like. Plus it is excellent for cord cutters who want wide variety of content to stream while on the go or from the comfort of their home. HULU is available on almost every device you can think of, literally! With such a vast option of devices to choose from, some users have complained about HBO not working on their Hulu account. Well to begin with, there might be many reasons why you might not be unable to watch HBO on Hulu. As mentioned above, give it a try too. Comment from discussion lalotele’s comment from discussion "Trying to watch Game of Thrones on Hulu, with my Roku.". While sometimes it might just be a technical thing due to the vastness of the platforms available for Hulu, it will get resolved eventually. This is an old discussion, but it does state that all seasons are available. You can concede that Hulu and HBO are your way to go if you want to watch Game of Thrones. Or if you want to watch Game of Thrones without HBO you have number of channels that would do you the favor. What if I am Traveling Outside the US, Can I Access Hulu? Hulu is a US only streaming service and so are its add-ons. 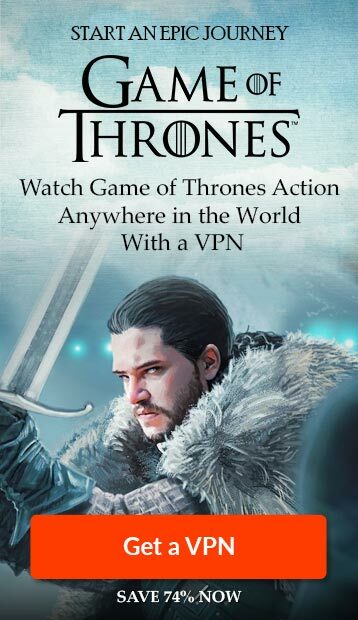 But what if you need to travel outside the US for some reason while Game of Thrones last season airs. Well, keep a Hulu VPN in your bag pack as it will help you mask your geographic location and allow you to access Hulu and HBO with ease. There is a famous saying – Content is king, and HBO is sitting on its mighty throne. Well sure there are other competitors, but HBO has really made a name for itself with the Game of Thrones. To gauge its popularity, consider this: It the most pirated TV show in the world. Therefore, the incestuous blood bath tale from the mind of George R.R. Martin has got all the world waiting for the last season and using our guide, you can watch it on Hulu with HBO add-on. Also let us know your Game of Thrones predictions about how the show will take its final bow. How to Watch Game of Thrones without HBO? How to Watch Game of Thrones (GoT) Live Online – Seasons 1 to 8!